Heat oven to 350°F. Line a cookie sheet with parchment paper. Separate dough into 8 triangles on work surface. 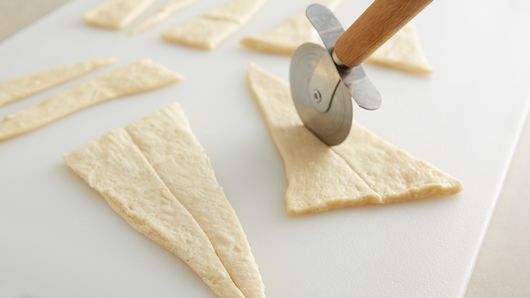 Using pizza cutter, cut each triangle lengthwise in half. Pat shrimp dry, then break slightly in center to straighten. 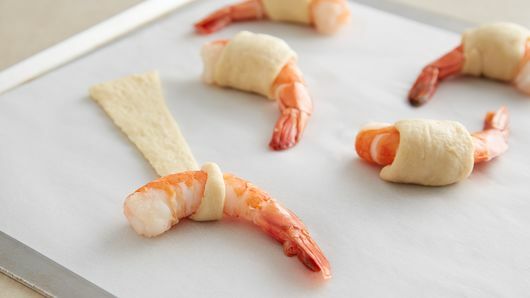 Place 1 shrimp at tip of triangle, and roll toward shortest side of triangle. Place 2 inches apart on cookie sheet. Bake 16 to 20 minutes or until dark golden brown. 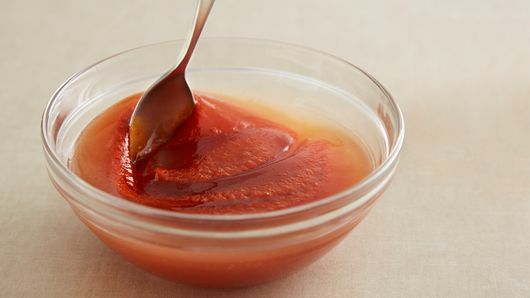 Meanwhile, in small bowl, mix sweet-and-sour sauce and Sriracha sauce. Serve crescent shrimp with sauce mixture. 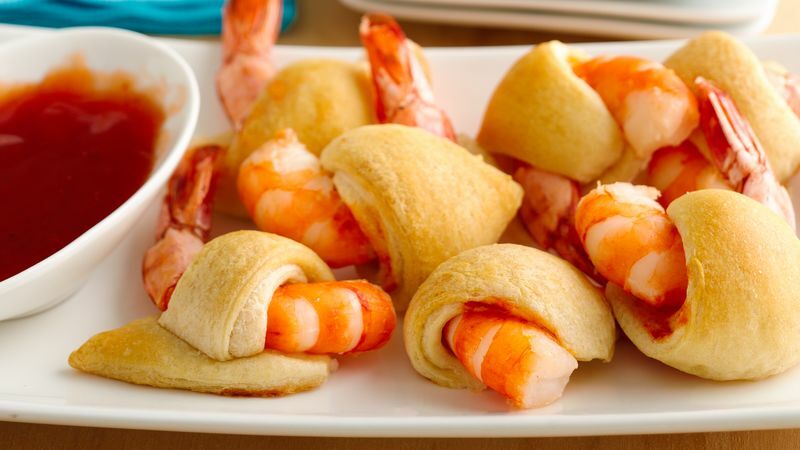 Be sure to thoroughly pat the shrimp dry to make sure the dough doesn't get soggy. No sweet-and-sour sauce in the fridge? These also taste great alongside barbecue or cocktail sauce.